There's no better way to cement your friendship with your BFF than with matching meaningful tattoos. Can't decide what design you two should get? Read on for 15 ideas! 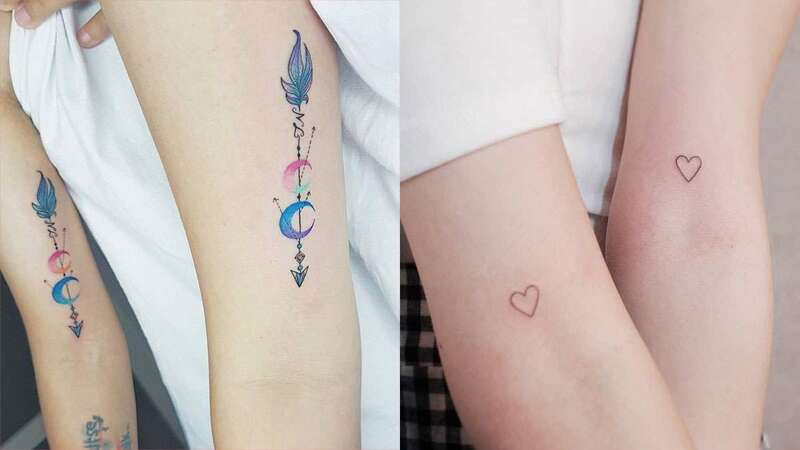 If you both love the galaxy, get matching moon tatts! A skull is unconventional for friends to get, but you can always customize to prettify it. Best friends always have the key to our hearts. Agree? Love unwinding at the beach? Palm trees are the way to go. Together or apart, you will always be there for each other. A quote will work on any body part you get tattooed on. A mandala will look gorgeous when split between you and your sister from another mister. How about matching pink flamingos? Adorable, right? Because your love and loyalty to each other is "to infinity and beyond." Rainbow dots are ~*creative and fun*~! It's amazing how two simple hearts can tell the world how much your best friend means to you. We love this intricate design! If you're feeling uninspired with black and white ink, how about a watercolor tattoo instead?